In Myanmar, many Civil Society Organizations (CSO) enjoy an active presence and a strong cohort of volunteers. 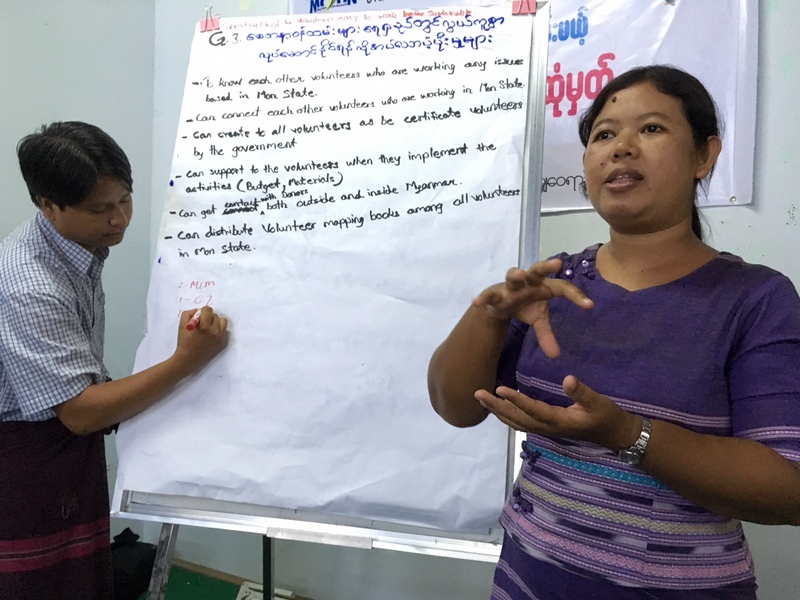 Last 24 November, CSO networks in the country’s Mon state held a Policy Challenge to brainstorm policy recommendations for building a national framework for volunteerism. Ten CSO focal points – one for each township in the state – and three from Mawlamyine participated in the challenge. The group highlighted the need for governments, UN Agencies and CSOs to all play a role in improving the communication and collaboration between the government and the volunteers, enhancing support for the volunteers and providing volunteer skills training.